Brewing coffee is something that dates back to 575 A.D, even then civilization had a problem getting up in the morning. In fact there have been many inventions throughout time in relation to brewing coffee. In fact the coffee filter method is more than 125 years old and still is one of the most popular methods today. However, we are going to be heading back to the 17th century when the coffee urn first appeared. 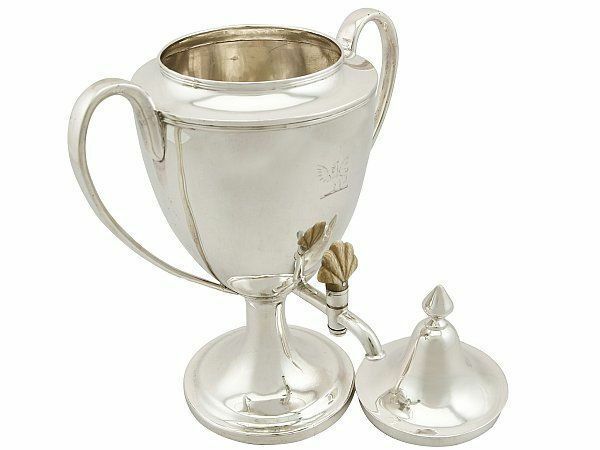 This was a time when beautifully designed silver was used to serve coffee rather than a machine. The name urn comes from the Middle English and Latin words to describe its vase like shape rather than its use. Prior to the use of the Urn a design of a pot or pan was used for brewing coffee, which people still use today (granted not many with the amount of coffee houses around!). The peculator came in around 1818, the Napier vacuum coffee machine came in at 1840 and the first drip coffee maker in 1908. In today’s day and age it’s more about practicality rather than its beauty; you certainly wouldn’t call an espresso machine a thing a beauty! Or that could depend on the espresso machine of course. 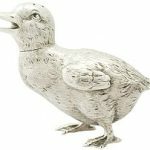 As I’m learning throughout my journey with AC Silver, the pieces that we are lucky to have before heading to their new owners are steeped in wonderful and interesting history. That of the coffee urn is no exception. In fact there is a world famous coffee urn that lives on permanent display at the Rijksmuseum Amsterdam. It was sculpted and built by the famous European artist Audele Andeles in 1729. The piece was even said to be used in the service to a number of English Royalty before being displayed in the Rijksmuseum Amsterdam National. In the seventh century the traditional spout of a coffee pot changed and the coffee urn was invented. This change was a fixed tap to the main body of the urn which made pouring much easier; in fact some had multiple taps. 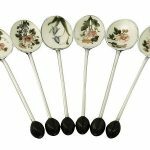 They were made from silver, brass, pewter, lacquered tin as well as porcelain. 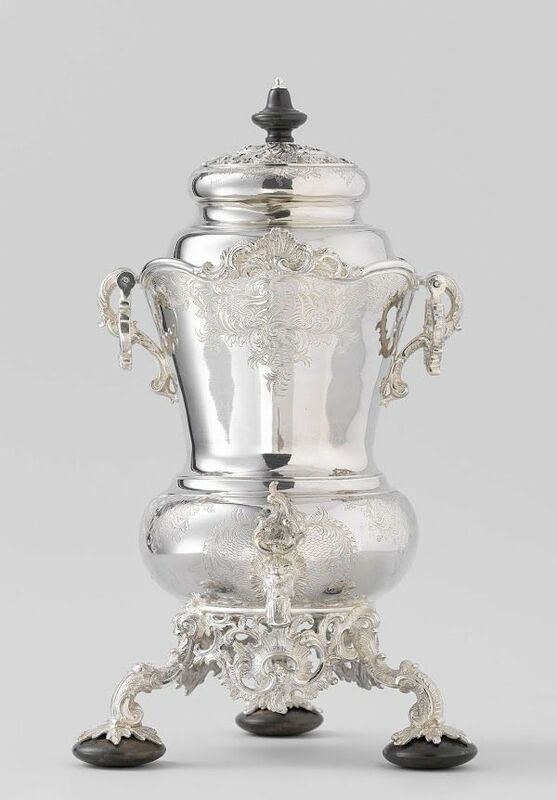 The shape of the coffee urn started out as pear shape originally, by the eighteen century this changed to a vase shape which was set by the court of Louis XIV. 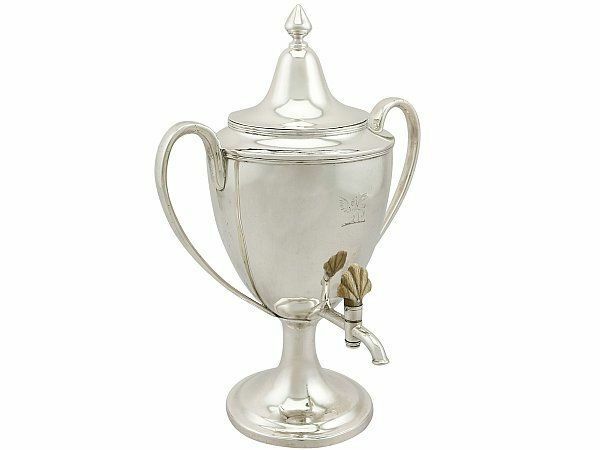 Coffee urns are usually large, made from metal and are generally used for making large quantities of coffee. They are designed to keep liquids warm for long periods of time; this can be different on different designs. Some are electric, some heated with propane oil and others from other internal fuel sources. Some require filters where others do not. Typically servicing between 10-20 people, ones which serve up to 100 are known as samovars. They are great due to their capacity and ease of use. They act as an all in one appliance due to them being both a brewer and a dispenser, making them efficient and cost effective. They are ideal for meetings, banquets, entertainment and hosting industries. 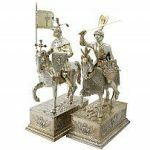 Here at AC Silver we are particular interested in the antique version of course! And we are lucky enough to have one in our inventory at the moment. 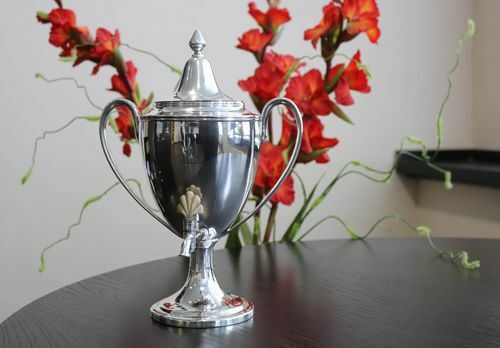 It certainly is a fine and impressive antique urn which is George III Scottish sterling silver. The upper rim of the body is encircled with bands of applied reed decoration, with the rest of the body plain and embellished with a contemporary bright cut engraved crest of a cockerel displayed. 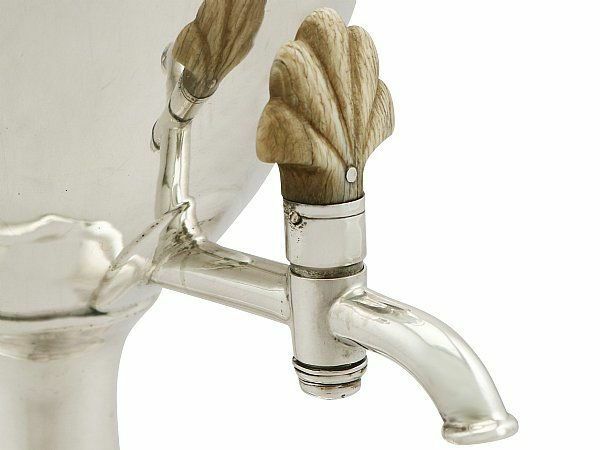 The spigot in the centre of the piece incorporates an impressive original carved fan-shaped handle. 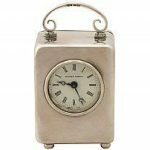 The piece retains the original plain waisted, domed hallmarked push fit cover surmounted with an impressive sterling silver tapering finial. Dated 1805 and made by John McDonald originating from Edinburgh, Scotland. This fine piece would be an asset to any collection, collector or silver service. If you require something larger to cater for more people you will need a samovar. Worry not as we have a fine selection of these also, please see our samovars & spirit kettles collection. Use a small amount of silver cleaning cream ( we recommend ‘Silvo’) with a soft nonabrasive cloth to wipe away any stains. To clean the spout, use a small amount of the cream with a cotton bud. Making sure to rinse thoroughly with warm water and make sure everything is completely dry before putting away. 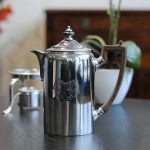 Today’s coffee machines are made to cater for even larger amounts of people, with longer warming systems, even sophisticated thermostats but you can’t beat the appearance of an antique coffee urn. An investment as well as a talking piece at the centre of your rendezvous which is steeped in history and wonder. Lastly, to our tea drinkers, worry not as there are also hot water/tea urns which were made and particular popular in the 1760’s, also known as samovars. Next Entry: What are Luxury Goods?